My name is Iago Augusto Carvalho. I have a Bachelor's degree and a Master's degree in Computer Science, respectively obtained in 2014 and 2016. 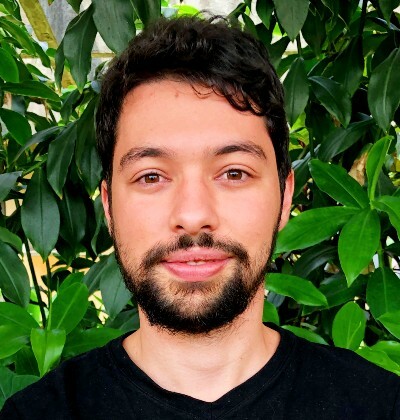 Currently, I'm pursuing a Doctor's degree in Computer Science at the UFMG Computer Science Department , under the advisory of Dr. Thiago Ferreira Noronha. Title: The Steiner Tree Problem under data uncertainty (provisory). Advisors: Thiago F. Noronha and Christophe Duhamel. Institution: Federal University of Minas Gerais. Title: The Robust Shortest Path Tree Problem: Models and Algorithms. Advisors: Thiago F. Noronha and Luiz F. M. Vieira. Title: Comparison of Evolutionary Algorithms for History Adjustment in Reservoir Engineering (in portuguese). Institution: Federal University of São João del-Rei. My profile at the most popular research network in the actuality. Contains a full list of my publications, my research interests and citations count. My full curriculum into Lattes database (in Portuguese). Contains a full list of my publications, presentations, technical works, and much more. My profile at Google Scholar database. Contains a list of my publications, a list of my colaborators, citations count, and links to my papers. My profile at Github. Contains the codes and algorithms of some of my papers, and other interesting repositories. A full list of my publications can also be found here. Besides, my research interests are described here.